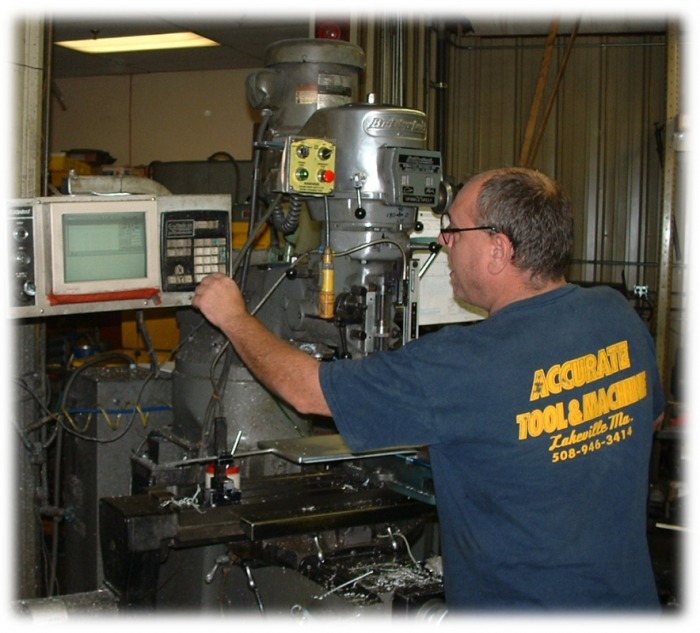 About Us - Accurate Tool and Machine, Inc.
Our company has been in business since 1987 and has the capability to complete a wide range of machining from precision medical products, mold making, custom one-of-a-kind products and on-the-spot machining. We pride ourselves on adhering to promised delivery schedules and quick turnarounds as needed. We have made it our mission to get the job done right every time. Accurate Tool’s product customers include professional metalworkers, home shop machinists, model engineers, jewelers, model makers, tool and die makers, and many others. All of Accurate Tool’s work, production, prototyping or products, are guaranteed to customer satisfaction. Machined orders are generally turned around in a few days to 1-2 weeks. If you need very fast turn-around, please contact us. We’ll try to work to your schedule.